To be entrepreneurial means to anticipate demand. It means to empathise with others and to bring predictability to the uncertain environments they face. But conceptualising a solution to a problem and having the insight to find the way there isn’t easy. I believe everyone has the ability to be entrepreneurial but some people have something the others don’t. Because it’s not enough to simply want something, you have to keep wanting it over time and that is what separates the entrepreneurs from the wantrapreneurs. It’s easy to get excited at the beginning of a project, full of hope and ambition. But waking up everyday wanting it more and more only comes with the devotion of the people on a mission and remember what’s important. You will need to stay hungry in this week’s newsletter because Money Bags @ChekaZ is up to his old tricks again. There is some buried treasure in this newsletter and on the internet. This treasure has now been claimed. Thanks to all for taking part. Being hungry means being hungry for something. To us that something is financial freedom and currency choice for everyone. Even if you are not a regular member of the forum we would like to invite you all to take part in our survey on what improvements you would like to see in the Feathercoin design. We are still young and feel we have come a long way already but it’s important that we stay relevant and want to make our supporters proud. One of our unique features is the way we do things. It’s important to us that the people who hold our coins get some say over the direction of the coin itself. Even if those people don’t have the expertise we believe the role of the expert is to give the public the appropriate range of decisions and education they need to make the right choices for them. One thing we want to keep delivering is our face to face meetups. 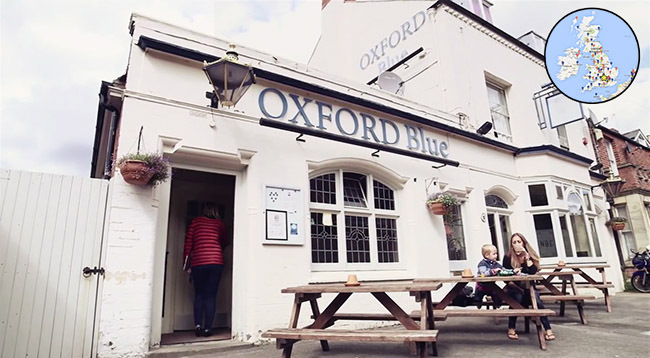 We will be at the Oxford Blue again on the 25th of January. Don’t worry there won’t be a film crew there this time, you can just chill out and have a drink with the Feathercoin devs. If there is demand for it we will even do one of our trademark livestreams. Please sign up on our Meetup Page or feel free to surprise us! We’d love to meet you all. If you would like to arrange a meetup in your area checkout Local Feathercoin and look to see if there are others in your town. You can find members on the Forum by going to the menu bar and selecting Members>Search For Members. Then reach out to Ruth or me, tell us about what you have planned in your area and we will add it to our official meetup page. One person who can never be accused of satiating his hunger is @Tuneman1980. Shane is from Illinois, apparently I don’t know very much about it but what I did learn from our Skype interview is that Chicago is called the Windy City because the people there keep talking it up. Anyway that’s not the point. The point is that Shane has gone and created some cool analytics for crypto geeks to go obsess over. Checkout his venture Crypto Coin Stats. Shane was motivated to build this site after he was finding it difficult to find these metrics for himself while searching the web. With a background in Software Development, Economics & Finance this was right up his street. Good work from the pirate state arrggh (I looked it up on Wikipedia). Now let’s take a look at some newer members at Feathercoin. @prensel joined us in December and stopped by the other day to tell us about his project for checking the status of his Feathercoin wallet from his phone. You can see it in action on his here: http://ftcpool.nl/wallet.php. You can check your stash anywhere with an internet connection. If you want to have go sign up to http://cryptowallet.eu. Michael Harrison from Indiana stopped by the other day to delight us all with quite a surprise. He told us that he had only gone and created one of the most sought after apps that any coin could have, a Twitter Tip Bot that is called Feather Tipper. After the news last week that the British pop singer Lily Allen turned down the opportunity to receive thousands of Bitcoins** 5 years ago why don’t you all sign up to Michael’s service now and send her some Feathercoins to make her feel better. ** Since Bitcoin is barely 5 years old she may well be confusing it with Linden Dollars, anyway it’s all digital so send her some Feathertips anyway! This week we welcome @Calem and @Pryderi to the Feathercoin team. They will be moderating the Newbie forum. The decision to include them was made pretty easy due to the fact that both of them had already been going out of their way to make new people feel welcome and direct them to parts of the forum where they can get support. It’s the muddy shoe problem. If you want to keep your house clean but let a few people in with muddy shoes before you know it everyone is doing it. Setting the tone of the environment early on is a powerful thing, people often look for rules and norms when they enter a new environment so that they know how they should act. We’re glad people agree. What’s really inspiring is when people join us and decide they like the atmosphere and then put the time and work in to keep reinforcing it. Constant gardening. But what makes this place special is that everyone has some say over the direction of the ship, we are not elitist here and believe everyone should have a choice.